Accordingly those looking for an off-road focused, diesel automatic variant of Jeep’s midsize SUV have been following the news, waiting for an official confirmation about the Compass Trailhawk’s India launch. We can now confirm the Jeep Compass Trailhawk will launch before the end of July 2019. Accordingly Toyota has introduced an update for two of its most popular models, the Innova Crysta and Fortuner. Meanwhile launched today, the 2019 Toyota Innova Crysta’s price ranges from Rs 14.93 lakh to Rs 22.43 lakh, while the 2019 Toyota Fortuner’s price ranges from Rs 27.83 lakh to Rs 33.6 lakh. According to sources Hyundai has announced that the Creta EX has been priced at Rs 10.84 lakh and Rs 10.99 lakh (1.4-liter diesel MT). And as reported by us a few days ago, the new Hyundai Creta EX sits above the base Creta E+. Meanwhile the Creta EX 1.6 petrol comes with features like front fog lamps with daytime running lights, a rear-seat armrest with a cup holder, adjustable rear-seat headrests and a rear parking camera. Accordingly a new variant of the Jeep Compass, the Sport Plus, has launched at Rs 15.99 lakh for the petrol model and Rs 16.99 lakh for the diesel (ex-showroom, pan-India). The Compass Sport Plus petrol prices are about Rs 59,000 more than the equivalent Sport variant, while the Sport Plus diesel costs about Rs 38,000 more. As per report the new trim gets slightly different exteriors and more equipment compared to the Compass Sport. 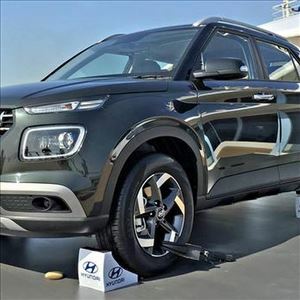 According to sources cars India witnessed monthly domestic sales of 17,202 units during March 2019, registering a growth of 27% and in comparison, the company had sold 13,574 units in March 2018. Besides, Honda Cars India reported an annual growth of 8% in domestic sales to 1,83,787 units during the financial year 2018-19. In the previous fiscal, the company had sold 1,70,026 units. Accordingly Tata had launched the 2019 update for the Hexa at the end of last month, new models have just begun to reach dealerships across the country. Priced from Rs 12.99 lakh to Rs 18.37 lakh (ex-showroom Delhi), the 2019 Tata Hexa features an updated infotainment system and dual tone color options on higher-spec variants. Accordingly summer is practically upon us and will bring with it, unrelenting heat. Just as the heat affects your efficiency, it will tend to drain the efficiency of your vehicle, as well. Getting stuck in slow-moving traffic could make your car’s temperature shoot up immensely, putting it through a lot of strain. As per report Suzuki has been bringing out special editions of the second-gen Ertiga MPV quite frequently, and the company has just revealed another: the Suzuki Ertiga Sport. The sporty looking MPV is not to be confused with the Suzuki Ertiga GT or the Ertiga Black Edition the latter gets no external changes but gets an all-black cabin, while the latter wears a relatively more sombre-looking body kit. As per report Skoda has announced the introduction of the Octavia Corporate Edition. Priced at Rs 15.49 lakh for the petrol variant and Rs 16.99 lakh (ex-showroom, pan-India) for the diesel, the Octavia Corporate Edition is being offered exclusively to existing Skoda customers. Prices for the Skoda Octavia Corporate Edition petrol start at about Rs 50,000 less, while the diesel Corporate Edition costs about Rs 1 lakh less than the base Ambition variant. Accordingly Groupe PSA has announced Citroen will be hosting its first-ever press conference in India on April 3, 2019, and more importantly, will reveal the first Citroen model for India. Carlos Tavares, chairman, Groupe PSA, will be present at Citroen’s India press conference, accompanied by Linda Jackson, CEO, Citroen Brand, and Emmanuel Delay, executive VP and head of India-Pacific, Groupe PSA. Mumbai sources reported that Reliance Jio Infocomm’s fiber network unit is rising about Rs 27,000 crore in syndicated loans from a group of banks, three executives aware of the financing plans told ET, as the newly created infrastructure business expands to meet expected demand for its assets from sectors such as power besides telecom and internet services providers.